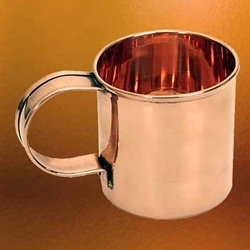 These solid copper cups are favored by many re-enactors because they keep drinks hot longer. Great for camping trips too because they don’t break. 1 piece heavy-duty body.